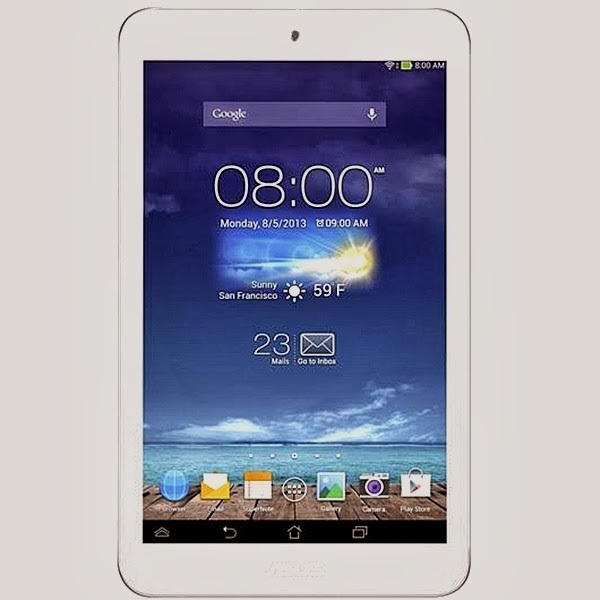 Asus Memo Pad 8 user guide manual – Asus Memo Pad 8 was released on November 2013 also known as Asus ME180A clear screen and big space to save apps, games and other documents. Asus Memo Pad 8 comes with glossy back which run Android 4.2 Jelly Bean operating system and powered by 1.6 GHz quad core processor. Asus Memo Pad 8 launch at the same time with bigger brother, Asus Memo Pad 10 on IFA 2013. The Memo Pad 8 tablet performs with its certainly light and portable but the tablet seems to be big for your pocket with 8 inches. Asus Memo Pad 8 equipped with specifications and key features such as: 212.4 x 127.4 x 10 mm (8.36 x 5.02 x 0.39 inches) in dimension with 350 g (12.35 oz) in weight, 8.0 inches IPS LCD capacitive touchscreen display 16 million colors 800 x 1280 pixels screen display with multitouch up to 10 fingers, microSD up to 64 GB, 16 GB internal storage, 1 GB of RAM, 5 megapixel rear facing camera, 1.2 megapixel front facing camera, run Android 4.2.2 Jelly Bean operating system, powered by 1.6 GHz quad core processor and Li-Po 3950 mAH battery. Asus Memo Pad 8 user guide manual available to download in pdf file format with 6.05 MB size and contains of 96 pages. Asus Memo Pad 8 manual released on November 23, 2013 and will help owners, users and buyers to know more about this tablet regarding to explanation on pdf for important information, key features, functions and settings.